Wood or composite decking—or something else? 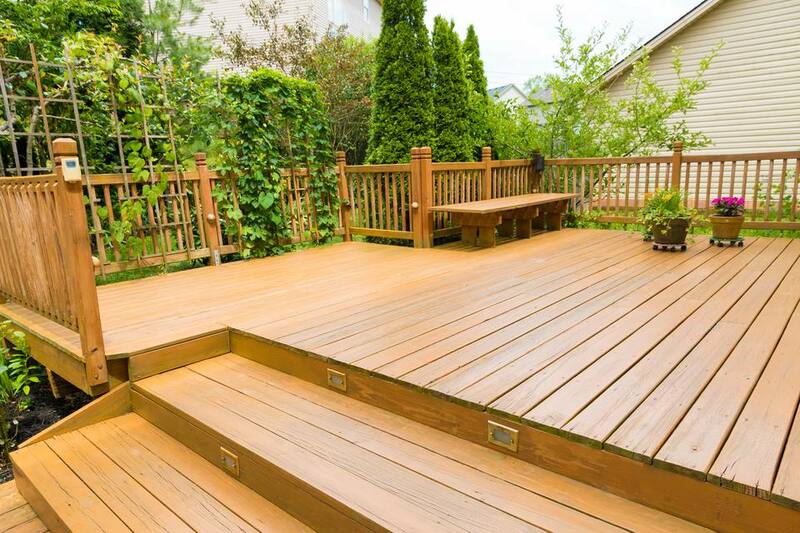 Like any major home purchase, decking materials vary in looks, durability, and cost. 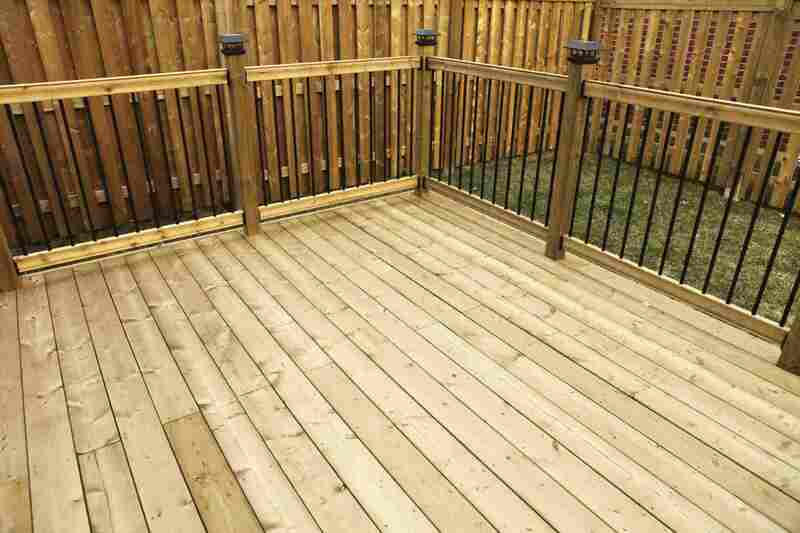 Start your research by becoming familiar with types of authentic and synthetic decking. Also, you might want to use certain types of lumber or decking for structural parts of your deck project, and other decking timber for surfaces and railings—the parts on which you will walk and actually see. Learn about the materials most widely used to construct a residential deck, from railings to floorboards, including the pros and cons of each type. Wood is the original and traditional material used for decks. The Atlantic City boardwalk—the first oceanside wood boardwalk in the United States—was made of wood, and, according to some studies, continues to be the top choice for most residential homeowners' deck projects. Hardwoods—all woods, really—should be certified by the Forest Stewardship Council. Hardwoods like ipé can be expensive. Unmaintained wood can split, crack and change color. Availability and price are determined by region. Also known as composite, wood alternatives, or synthetic decking, wood-polymer composite has quickly become the fastest-growing decking material for residential use in the past dozen years. Composite decking is an environmentally friendly lumber alternative that combines plastic and wood fiber. Some look obviously fake or cheap. Some brands can be slippery. Not resistant to mold and mildew, especially in shade. Eventually shows signs of age and decay. Tend to sag and bend more than wood. Less durable woods, like Southern pine and Western fir, are treated with preservatives. This makes them more resistant to the elements, rot, and insects. Chromated copper arsenate (CCA) is a wood preservative containing chromium, copper, and arsenic. Starting in the 1940s, CCA was used to make pressure-treated lumber. The United States Environmental Protection Agency (EPA) has classified CCA as a restricted-use product. Since 2003, the pressure-treated wood industry discontinued the use of CCA for residential use. Arsenic-free alternatives include ACQ, borates and copper azole. High-density plastic lumber (PL) is made from recycled polyethylene (ReHDPE) plastic. That means your old milk, water, and juice containers and detergent and shampoo bottles may be recycled into the plastic lumber that is used to construct your deck. An eco thought. There are lots of good reasons why aluminum is a near-perfect decking material: it's weather resistant, won't rot or decay. Have you ever heard of termites drilling their collective way through an aluminum structure? It doesn't burn, either. It's too bad aluminum is so expensive. Looks-wise, you really won't mistake aluminum for a plank of teak or redwood.